It’s been a quiet week on the economic docket in NZ with just business confidence printing down on expectations highlighting falling business confidence for the March quarter. The kiwi has been under pressure-easily the weakest currency this week. The global dairy auction was the 9th consecutive rise for the index with overall prices slightly up 0.8% with skim milk prices up 1.8% but whole milk surprisingly slipping down 1.3%. The NZ Minimum wage for adults rose from $16.50 per hour to 17.70 per hour on the 1st of April and is the biggest single increase ever. More than 200,000 are affected by the welcome rise but some say job losses could be the by-product of an unsustainable increase. With the government forecasting to have the minimum wage at $20 by 2021. Expect the consumer price index (CPI) to go up as a fair chunk of products and services will need to increase prices to accommodate. Risks of a no-deal Brexit are still reasonably high Friday with Carney reporting this very real probability could happen by default and suddenly with no transition. Jeremy Corbyn and Theresa May held what was deemed constructive talks yesterday to try and find a work around for a way forward so MP’s are on the same page when they stage their next set of voting. Not sure why this couldn’t have been done months ago to avoid the situation they are faced with, but clearly a lot of flexibility by both sides is needed. The British Pound meanwhile is back above 1.3150 from late last week’s low of 1.2975. 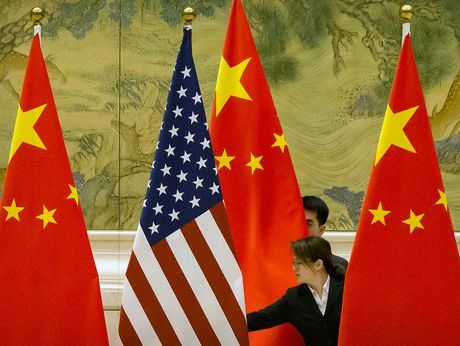 Overall optimism returned to markets Thursday with risk currencies all up a tad based on another round of discussions between US and Chinese officials in the ongoing tariff/trade disputes. Hopes of a deal being resolved sent equity markets higher with reports suggesting most of the issues have been ironed out which were standing in the way of a deal.